First remove the two large screws from the bottom brackets and the three small screws going through the slam-panel to the plastic sockets in the top brackets, then slide the whole grille forwards, keeping it vertical, just enough for the top brackets to clear the front edge of the slam-panel. 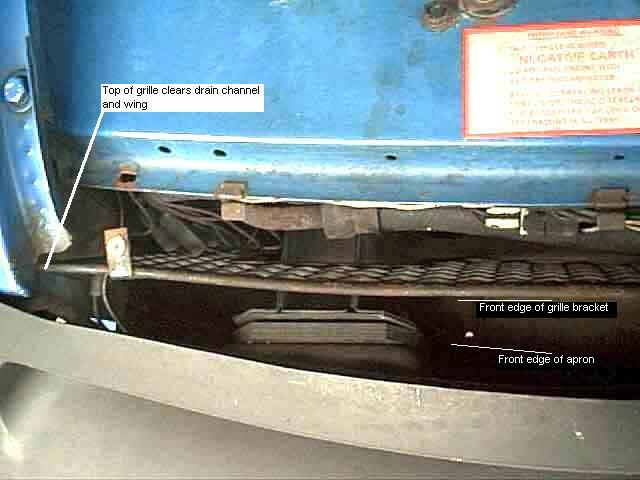 Next tilt the grille by pushing its bottom edge back as far as it will go, this should allow you to tilt it even more by bringing the top edge further forward to clear the end of the wing drain channels and the very front edge of the wings themselves. Now you should be able to lift the whole grille up, keeping it square and tilted, with the outer edges of the grill passing through the small gap between the back of the bumper and the front face of the wing. 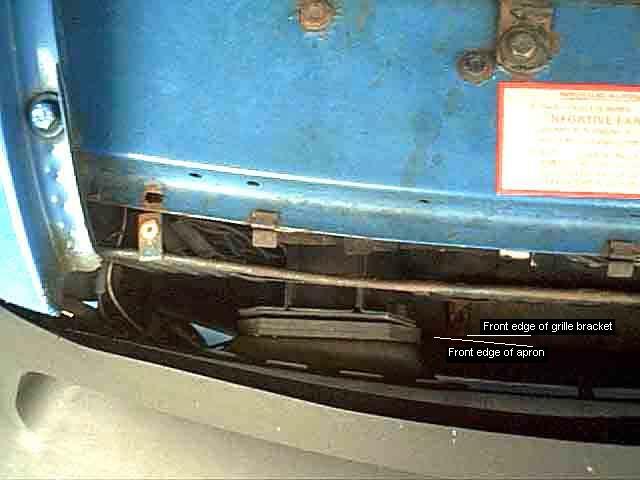 If your gap between bumper and wing is too small to allow this, slacken the nuts securing the bumper to the chassis legs which should allow it to angle forwards increasing the gap. 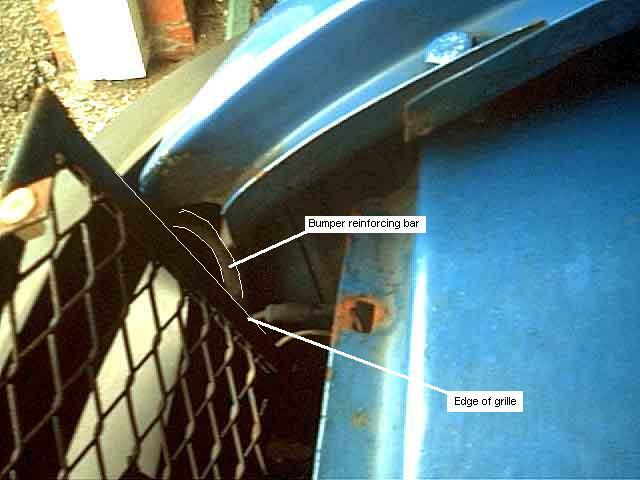 This image shows the vertical edges of the grille and the reinforcing bar for the upper part of the rubber bumper. 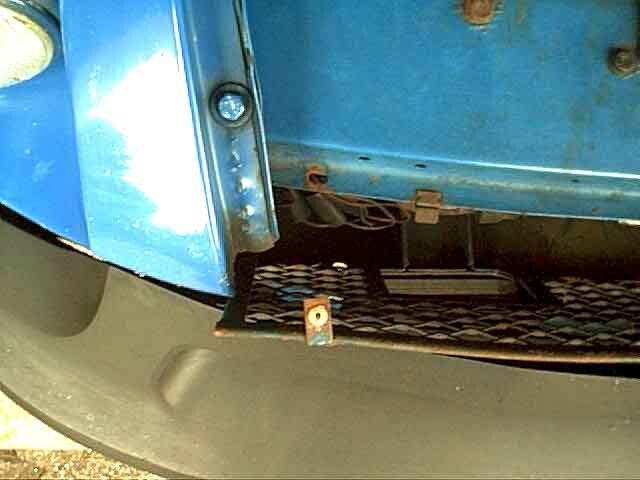 This bar sits in a channel across the top edge of the bumper, then bends back for a short distance and then downwards. There should be about 1" clearance between the edges of the grille and these bars i.e. they should not interfere with removal at all.